Total run time: 1 hour 28 mins 57 secs. Or you can watch / stream it on YouTube here. John-David (or JD as he prefers to be called) is the founder and artistic director at the Sweet Venues (@sweetvenues) that currently operate largely at the Edinburgh and Brighton Fringe. But in addition to that he runs a lot of other literary festivals as well as a horror festival. 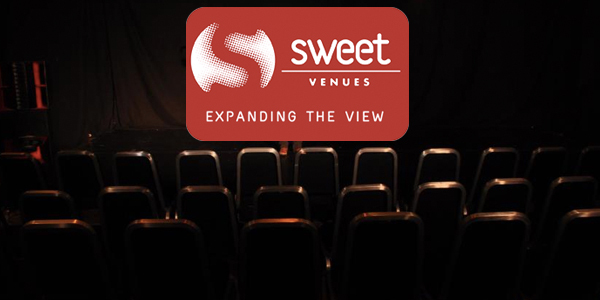 The Sweets recent move into taking on more comedy shows than ever marks an interesting development for them and the Fringe in general. I got him on to talk about why now, and what the future holds for Sweet Venues. EP70 – Barry Ferns and Sarah Pearce – Angel Comedy – How to build a community-led comedy club. EP72 – Ben Venables – Editor at The Skinny – How to get your show noticed & reviewed.